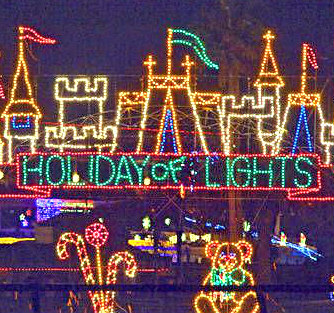 Seeking a holiday wonderland in Del Mar this month? Bring friends, loved ones or the entire family for an afternoon of San Diego fun. The entire downtown Del Mar will be turned over to strolling carolers, Santa Claus, the famous Del Mar Holiday Cake Walk, On the Edge dance performance, holiday gift bazaar, horse and carriage rides, face painting, musicians, kid’s activities and Tastes at Del Mar Restaurants. Sponsors for this wonderful Del Mar event include L’Auberge Del Mar, Time Warner Cable, the Del Mar Thoroughbred Club, the 22nd Agricultural District, Bob and Kathy Angello with Willis Allen Real Estate, Backstage Boutique, Celine’s Boutique and Gifts, Chiquita Abbott Realtors, Clone Printing and Duplicating, Crepes and Corks Cafe, Del Mar Heights School PTA, Del Mar Hills School PTA, Dexter’s Deli, DiCaro, Coppo & Popke, www.DiscoverSD.com, En Fuego Cantina Bar and Grill, Joel Politzer and ITZ Fixed Computer, Kim Filanc with Coldwell Banker Real Estate, J Carl Shoes, Jimmy D’s Sports Bar and Restaurant, Ryan’s Collection, Pacifica Del Mar Restaurant, Soul Shine, Jim Watkins and Stratford Square, Union Bank of California and Willis Allen Real Estate. A big, merry thanks to these Del Mar sponsors and we look forward to seeing you in Wonderland!